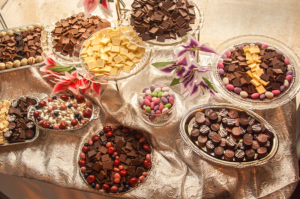 What is better than a beautifully decorated table filled with a variety of chocolates? 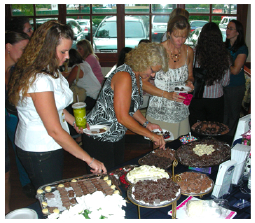 Wow your guests with delicious chocolates from around the world and let them ask questions of the experts while they sample! 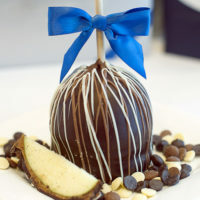 A Royal Chocolate staff member well-versed in the unique varieties of cocoa will share information about chocolate cultivation, production, percentages of cocoa and more while you and your guests taste several different chocolates. 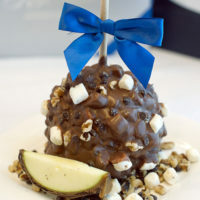 No matter what the occasion, your guests will appreciate the opportunity to explore chocolate and learn something new. 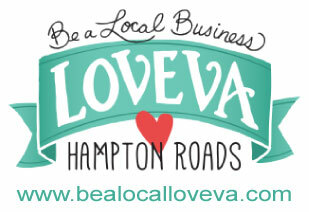 Available locally in the Hampton Roads / Virginia Beach area! 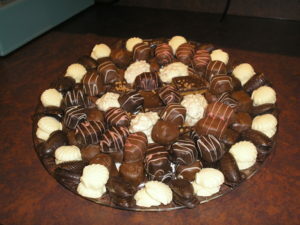 *Prices include preparation and setup of chocolates as well as clean-up after the 4 hour time period. *Changes may be made to this assortment to suit individual tastes, however, this is based on availability and may incur additional charges. *Deposit of 50% (based on estimate guest count) is due upon placing the reservation. Deposit is refundable only if event is cancelled 48 hours prior to scheduled date and time. A final count and balance is required 48 hours prior to start of event. Imagine an assortment of Royal clusters and squares made in our store plated beautifully in a festive pattern white, milk and dark Belgian chocolates. 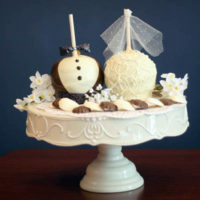 This is a great way to provide something sweet for your guests and decorate your table!